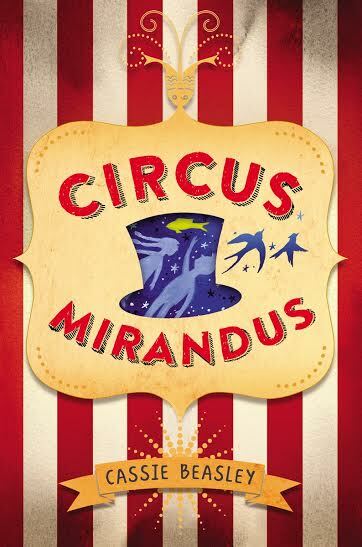 Summary: Fans of Big Fish, Peter Pan, and Roald Dahl will fall in love with Circus Mirandus, which celebrates the power of seeing magic in the world. Today’s a huge day at Booking Mama because we are celebrating the release of CIRCUS MIRANDUS by the fabulous Cassie Beasley! I am so happy to be part of a big Blogger Blitz along with so many other wonderful blogs. Thanks go out to Word Spelunking for organizing this! Ms. Beasley has written a very special letter sharing her feelings about CIRCUS MIRANDUS and all of the amazing support she has received. By now, I'm sure you're dying to know more about CIRCUS MIRANDUS and it's very talented author! The giveaway will run from June 2nd until June 16th, so click on this Rafflecopter link for your chance to win: http://www.rafflecopter.com/rafl/share-code/NjliNDM1MTFmN2Y4NWJlNDFlZGZhMDI2NDYxYWQ4Ojk=/? I just saw that this is the #1 Summer Kids' Indie Next Pick so I bet it's terrific!